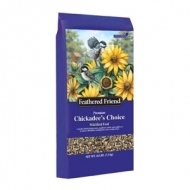 Attracts chickadees, tufted titmice, juncos, and nuthatches, wrens. Mixture includes sunflower kernels, tree nut pieces, peanuts, black oil sunflower, grey striped sunflower, and safflower. For use in hopper, tube and window feeders. 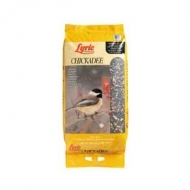 Lyric Chickadee Wild Bird Mix blended with sunflower seeds and nuts to attract more chickadees, nuthatches, and titmice.